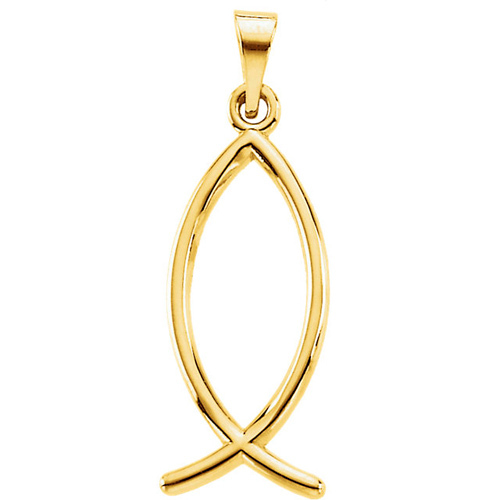 This small Christian fish / ichthys pendant is made of polished 14k yellow gold. Dimensions: 16mm x 7mm. Fits up to a 2mm wide chain. Weighs 0.72 grams. Please note: weight is approximate, actual weight may vary.